Handbags have become more and more of a fashion statement: rather then being a practical accessory that allow us to carry things with us, handbags shout out about our personality and style choices more then any other item. This is because when you do wear a handbag, it really defines and characterized the style of the overall look. Forecasts for the fall/ winter 2014-2015 handbag trends tell us that the balance between practicality and appearance is definitely broken, with spectacularity being a key factor in the general handbag trend, and size getting smaller and smaller accordingly - basically, handbags not as carrier but as statement. 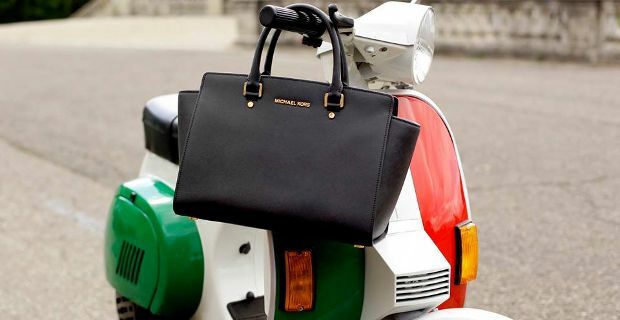 Big handbags are almost out of fashion for the cold season 2014 2015. Yes you may still find some examples on the catwalks, but let's face it either you go for the outrageous and outrageously big Moschino spongebob bag or you may be better off accepting the fact that is time to downsize. These literally leaves lots of room for medium and mini sized handbags, the real stars of the season. As masculine inspiration is the general trend in women's wear for autumn winter 2014 2015, the attache becomes one of the hottest styles. The satchel becomes prominent this season, as well as geometric forms, paired with both soft and textured materials, as well as rigid versions. Christian Dior, Giambattista Valli and Bottega Verde, amongst others, offer a variety of satchel bags from reptile skin prints to colourful knitted pieces, to suit and enhance any style. Alexander Wang, Chanel and Versace present innovative leather versions, perfect for creating effective combinations. Classic clutches, as well as simplified envelope and folded bags used as clutches, dominate the scene, with the everyday styles ranging kept minimalistic and almost humble, while the classic lady outings clutches are re-proposed by Frankie Morello, Michael Kors, Nina Ricci and Roberto Cavalli in many successful variants. Check prints and neon colours are also fast growing trends coming straight from the previous seasons and going strong in the handbags forecasts for Autumn Winter 2014-2015.